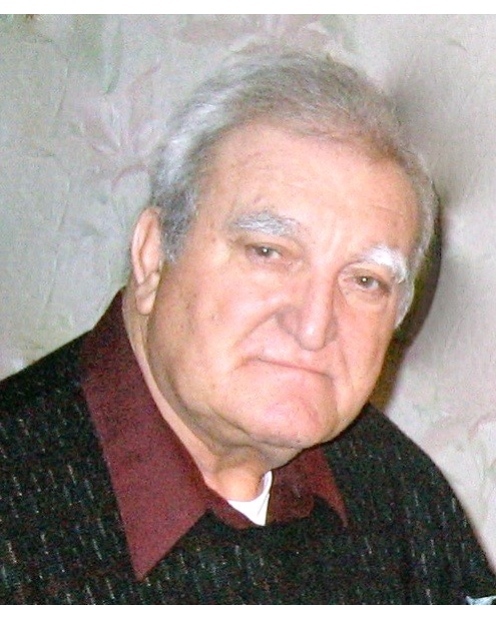 Mr. Donato (Danny) Santone, 81, died on Thursday, January 31, 2019 at Cedarview Rehabilitation and Healthcare Center, Methuen, MA, where he resided since 2017. Born on March 5, 1937 in the town of Ari in the Abruzzo region of Italy, he was the son of the late Dante and Emelia Santone. In 1957, Donato immigrated to the United States where he settled in Boston’s North End. He resided in Somerville from 1965 to 1980, prior to moving to Revere. In 2014, he became a resident of Methuen Village. Mr. Santone was a proud member of the Laborers’ Union Local 22 and spent his career specializing in concrete. As a foreman for many years, he supervised several large construction projects. Donato took great pride in supporting his family and tending his extensive garden. He loved Italian music, walking at Revere Beach, candlepin bowling, and dancing the tango. He also enjoyed vacationing on Cape Cod and trips to the Catskills with his cousins. Donato is predeceased by his beloved wife, Norma (Zannerini), with whom he shared forty-eight years of marriage and without whom he was never the same. He is survived by his son, Dr. Dante Santone and his wife, MarySusan (Potts); two granddaughters, Leah Kate Santone and Rebecca Lynn Santone, all of Methuen, MA; brothers, Guiseppe and his wife, Vilma, and Aldo and his wife, Orianna, all of Ari, Italy; several nieces and nephews and many cousins. Relatives and friends are respectfully invited to attend visiting hours on Thursday, February 7, 2019 from 4:00-8:00 PM at Cataudella Funeral Home, 126 Pleasant Valley Street in Methuen. A funeral mass will be held on Friday, February 8, 2019 at 10:00 AM in Our Lady of Good Counsel-St. Theresa Church, 22 Plymouth Street in Methuen. Entombment will take place at St. Mary-Immaculate Conception Cemetery Mausoleum in Lawrence, following the funeral mass. In lieu of flowers, contributions in Donato’s memory can be made to Presentation of Mary Academy, 209 Lawrence St., Methuen, MA 01844– the PMA Fund or online at http://pmamethuen.org/pmafund/.